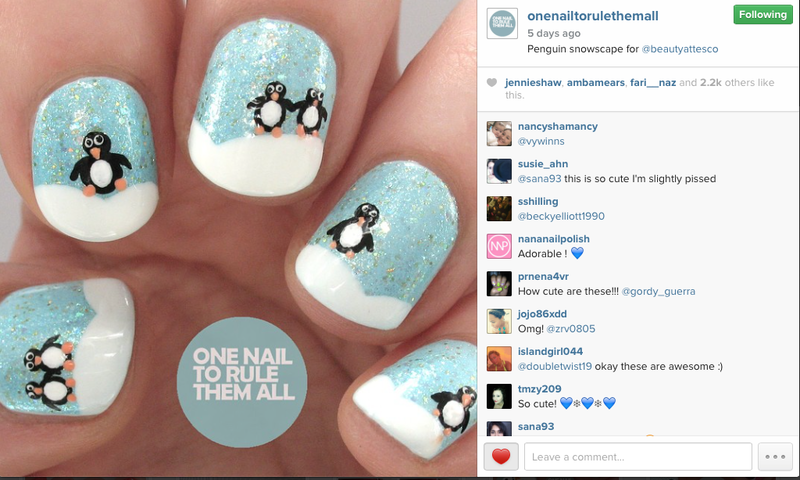 jennie's nails and tales: party penguin nails! No, your eyes aren't deceiving you! I am, in fact, posting a picture of my nails on a Tuesday. Why? Inspired by the awesome One Nail To Rule Them All, I figured there was no better way to represent a winter birthday than a handful of party penguins. So, uh, that's what I did. Haha! I'm not going to walk through the steps, because there were a million few, but I will say that if you've got some patience, a set of dotting tools, a narrow brush, and copious amounts of wine you'll be able to recreate this baby and have a set of party penguins all to yourself. Haha! Or just today, whatevs. Haha! Happy birthday! I sent that last gif to my sister on her birthday. Love it! HAPPY BELATED BIRTHDAY FRIEND!! This is my favorite manicure I've ever seen! Those little cuties are just the best and you did SUCH A GOOD JOB!!!! Happy Birthday! I hope you had a great day! And the nails are amazing! You did a great job; they're adorable! That came out awesome. Happy Belated birthday. 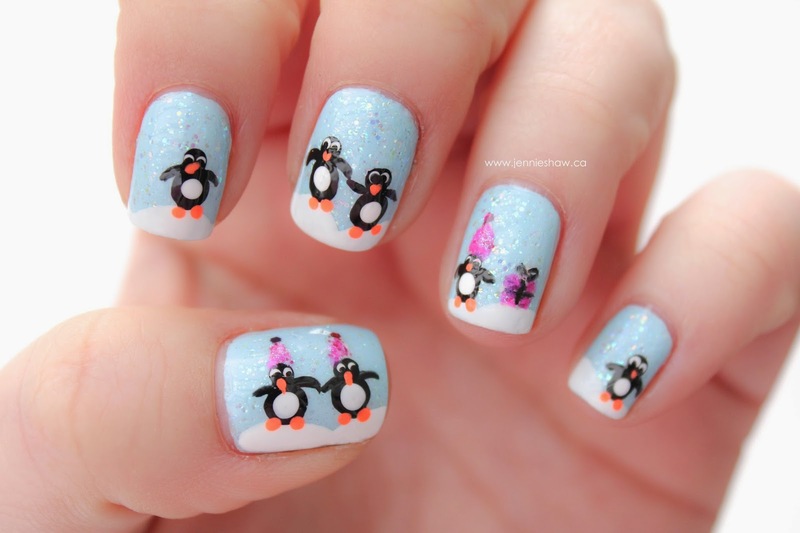 Those nails are so fabulous and adorable! I hope you get to do something superfun for your special day!